Over the last 6 years,I have work in several language MATLAB Vlsi Design Embedded System Pcb Design PHP Website Design & development Wordpress Seo IE3d CST I have developed a wide range of websites using HTML, DHTML, PHP, CSS and MySQL & CMS (Wordpress) including sites for startup companies and small businesses. My core competency lies in complete end-end management of a new website development project, and also done Research project based on MATLAB , VLSI Design and CST. I am seeking opportunities to build websites from the ground up for you or your business. I also have some experience in the following areas: SQL, Ajax, OOP, and Email marketing . Why is this good? 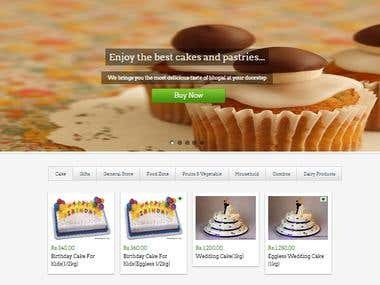 I have done several challenging project in part of website design like e-commerce, company and many more you see portfolio at dstarena.com. I have work in R&D field so provide best accuracy with fast development in each project.